Optus Satellite and URSYS services have reported that URSYS iDirect VSAT services will be migrated to the Optus D2 satellite by December 2018. Through its partnership with Optus, URSYS iDirect VSAT services will provide high quality broadband satellite communications, ideal for remote areas of Australia that are unable to connect with broadband services through regular means. URSYS has been operating iDirect based VSAT networks for more than 10 years, supporting hundreds of sites across Australia and internationally. Artistic rendition of the Optus D2 satellite. Patrick Duff, Chief Operating Officer of URSYS said that migrating hundreds of sites to a new satellite is no small feat, but with it will come a lot of wins that make a solid case for the project. Key points such as having a single hardware configuration for all satellites in our fleet, massive efficiency gains from the latest iDirect platform using DVB-S2X, allow us to deliver the latest platform features such as L2 over Satellite, q-in-q, VPLS/VPWS and more. This migration signifies a generational change in URSYS infrastructure but one we strongly believe is worth the effort and will result in a new and innovative services for our customers. 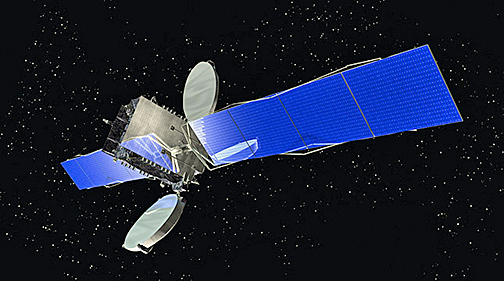 The Optus D2 Satellite is operated by a company with a local presence who flies their own satellites and runs their own facilities to a very high standard, which made the decision to migrate a clear one for URSYS. Paul Sheridan, Vice President of Optus Satellite added that the company has a long relationship with URSYS and the firm is pleased to be making this announcement, building on many years of experience and collaboration. The Optus satellite fleet is trusted by customers across Australia to be a critical part of their businesses.